Anyone knowledgable about history would surely raise their eyebrows at this lame story–silos full of black-eyed peas in 1864? According to footnoted references in Wikipedia, the first modern silos were invented in Illinois in the 1870s, but we’ll leave that aside, assuming the story doesn’t really mean silos but rather “storage.” It’s just hard for me to picture Sherman’s troops being quite that carefully judgmental as they loot and burn a wide swath of territory for over a month. All the soldiers who came across storage bins with black-eyed peas came to the independent conclusion that they could be left in place because they were no use to anyone but animals? Not logical. Another flaw in the story: the Yankees actually did confiscate animal fodder–millions of pounds of it–either for their own animals or to ship North as contraband. Black-eyed peas are native to Africa and/or the Far East, and they figure prominently in Southern African-American cuisine. It’s logical that the African-born slaves brought food-related customs with them (“cultural baggage”) long before General Sherman marched to the sea. But black-eyed peas also belong to a 2,500-year-old Jewish custom that links the food to a celebratory meal at Rosh Hashanah. Martha Katz-Hyman, curator at Yorktown Victory Center, sent an informative link to a Jewish article which points to the Babylonian Talmud. “Now that you have said that an omen is significant, at the beginning of each year, each person should accustom himself to eat gourds, black-eyed peas, fenugreek….” Each of the foods (nine in total) represents something different for the year ahead; the black-eyed peas symbolize good fortune.” Read more: http://forward.com/articles/112887/at-rosh-hashanah-black-eyed-peas-for-good-fortune/#ixzz3OMoliuUG. The good-fortune/New Year link to black-eyed peas, this article states, likely arrived in America with the Sephardic Jews who moved to the South. The traditions of the Jews and the African slaves, who did much of the cooking in Southern homes, overlapped with black-eyed peas. Sharon (no last name) wrote in July of 2013 that “if 18th c. Jews traditionally ate beans for Rosh HaShana, it wasn’t for luck. Rosh HaShana is a two-day “yom tov” or holy day, and Jews are not allowed to light fires or cook on holy days. So it was a long-standing tradition to assemble a casserole, usually something like a pot of beans, and set it among the banked coals on the hearth before the holiday starts, so it will slow-cook like a crock pot meal, and still be hot a day or (even two days) later. However I seriously doubt that anyone in the American South learned this from their Jewish neighbors as a New Year’s tradition. Rosh HaShana is in September or very early October, and non-Jewish southerners would almost certainly not have understood enough about the holiday to make the connection to their own New Year’s celebrations.” Good point, Sharon, but Rosh Hashana is the Jewish new year, so the connection is there. Another article in Forward.com, the Jewish Daily, explains a mixup between fenugreek and black-eyed peas (although I note the quote from the Talmud mentions both, so there, at least, is no mix up.). “Fenugreek is a little seed that the Talmud calls rubia, which sounds like yirbu, the word for “to increase” — as in, to increase luck. But it actually increased confusion, says [food historian] Gil Marks, because the Sephardim got it mixed up with lubia, the word for black-eyed peas. So the Sephardim began eating black-eyed peas rather than fenugreek for good luck in the new year, a tradition they brought with them when some of them up and moved to the colonies. There, non-Jewish Southerners picked up the tradition, too, which is why — Marks swears — to this day, many of them eat black-eyed peas on Rosh Hashanah.” Thank you, Mr. Marks. So . . . as we enter the new year, let’s view this myth with some skepticism. The association of black-eyed peas and good luck seems to date back before the American Civil War, and it seems to have existed in at least two distinct cultures: northern English and Jewish. I can’t provide definitive proof that it is a myth, and you needn’t be convinced, however, I am. (Pass the wine bottle.) And may the new year bring you good health and much happiness! Cheers! 6 previous Responses to Myth #139: The association of black-eyed peas with good luck comes from Sherman’s March to the Sea during the the Civil War. Thank you so very much!!! I knew that logically this was a myth but just didn’t have the proof! I hope to meet you some day so I can give you a hug of thanks for all you do! Thank you, ma’am. Your blog is always a good read. 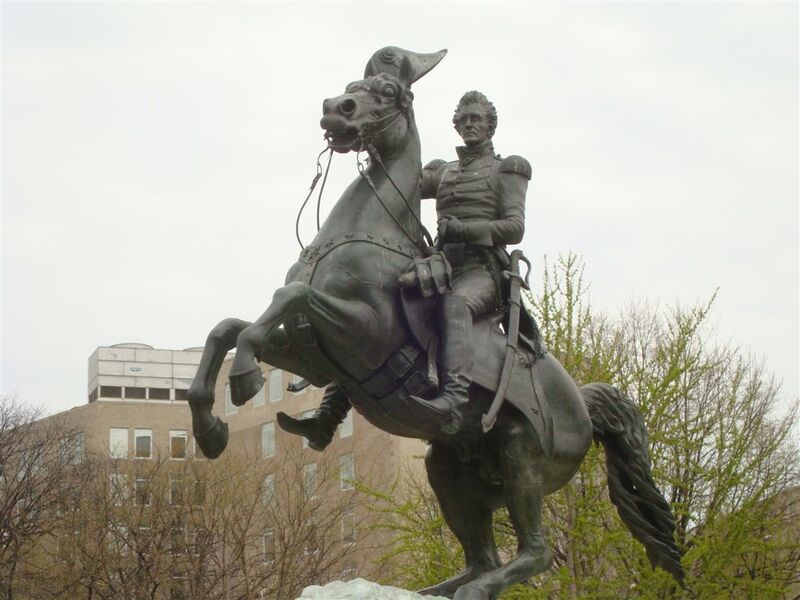 I was born and raised in Richmond, Virginia (which is a lot further South than it looks on a map), and I have never heard that Sherman story. Is it really that widespread? I’m in Richmond too, and no, it isn’t THAT widespread. Mostly in Georgia, I expect, with that General Sherman angle. I hadn’t heard it myself until a couple readers sent the story to me. One reader said she had heard it as a youngster and she was from Mississippi. Actually, Mary, they could very well have referenced silos! Though, as you state, the modern silos as we know wasn’t invented until the 1870’s in Illinois, aboveground silos were known before that. In the 1850’s, in France, they built some of masonry, lined with sheet iron. Prior to that, underground silos, were all the rage, going back to Greek (siros) and Roman (sirus/syrus) times. Both early terms referred to pits for storing grain. Its from those roots that the term “silo” evolved from. Remember the scene in the “Ten Commandments” when Charley Heston a/k/a Moses breaks open the Egyptian priests granary. Those mud brick storage bins were silos. So those southerners may have had underground “silos” on their farms. 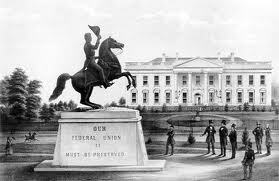 Civil War texts refer to the Georgian crowd, as with many southern farmers, burying their goods: crops, the good silver, etc., underground to hide them from those da*ned Yankees. Thanks for the information, Kevin. I’m afraid my brain leaped directly to tall, cylindrical silos when I read this term. Of course other grain storage facilities have been around for millennia, and I’m sure that’s what the story was referencing. i know I’m rather late, but the other factor people tend to ignore or just flat out miss is that Sherman had contact with Federal units from Tennessee and Kentucky at least during the battle of Atlanta, so I’m sure that he was well informed about black-eyed peas. A couple of years ago, I tackled the main Thanksgiving myth (see #69) about the first Thanksgiving and also the one about popcorn and Pilgrims (see #70). This year I’ll send you to another site where Eric Thompson of Texas has tackled several Thanksgiving myths. I learned something from his site–I hadn’t known of a First Thanksgiving claim of 1541 from Texas. Really, many states point to an early feast and prayer event and claim it was the earliest Thanksgiving, but the truth is, our holiday began when Lincoln made it a holiday during the Civil War. Revisited Myth #116: The phrase “passing the buck” comes from poker where a token, called a buck, indicated the dealer. Bingo! This is not a myth. The phrase “passing the buck” does come from the card table. According to the Random House Historical Dictionary of American Slang, a buck was a token used in poker to indicate the dealer. According to the New Oxford American Dictionary, the buck was originally a “buck-handled knife,” by which they presumably mean a deer antler. It was the next person’s turn to deal, you passed the buck, or the knife, to him. Theoretically, someone who didn’t want the responsibility of dealing could pass the buck to another player. I don’t always post a comment, but I always enjoy this blog. Thanks for the amusing information. Well! What a pleasant surprise! I thought for sure this one would be a myth. How interesting! The version I read some fifty years ago was that the ‘buck’ was a $2 bill. Some people thought $2 bills were unlucky (why? ), and in order to avert the bad luck that possessing one would bring a receiver of such would tear a corner off before passing it along. Once all four corners had been torn it would be difficult to find someone willing to accept it in payment, so frequently the buck would stop there (with the fourth tearer). Revisited Myth # 43: “Flip your wig” is an 18th-century expression referring to a dangerously low bow. 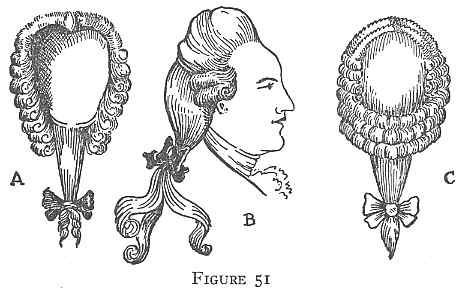 Speaking of wigs–and we were speaking of wigs in Myths #40 and #42–that famous phrase, “Don’t flip your wig” doesn’t seem to have been an eighteenth-century expression at all. Supposedly, it referred to bowing so low to one’s superior that one’s wig flipped off, but instead, the phrase seems to be a bit of twentieth-century American slang meaning “to go crazy.” According to the Oxford English Dictionary, the acknowledged authority on word origin, the first known use of the term occurred in 1952.